Learn the ABC’s of combination punching. Calling out punches with numbers is so yesterday. It’s time you learn how to throw combinations using letters. 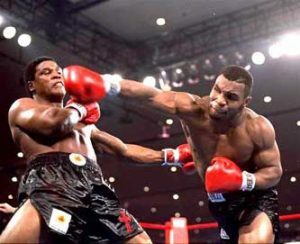 Throwing effective combinations is not about just throwing perfect punches or throwing lots of punches. You have to throw punches with an overall purpose, a theme. Then, you’ll have to constantly shift the purpose of your punches. Throwing just one punch to the head and one to the body won’t work against the better fighters. Try aiming 3 at the head, 3 at the body, and then maybe another 3 as you move in and out of range. It’s not hard to understand why putting together series of combinations is far superior than putting together series of individual punches. The concept of themed combinations is easy enough to understand. The problem is learning how to express these combinations in a fast and easy way. There is no time in combat for complicated attack systems. There’s something I like to call the ABC’s. 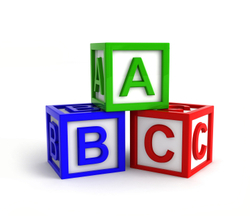 The concept behind the ABC system is to throw combinations as COMBINATIONS, and not as a chain of single punches. To do this, you start by naming your combinations. Some people have obvious names like “head”, “body”, “inside”, “outside”. I have another system I like to call the ABC combo system. It’s similar to your trainer’s method of using labelling punches with numbers, but now we label entire combinations with letters. Best of all, it’s very easy to learn. Just follow along. You create whatever combo you want using whatever punches you want. Whatever you do, don’t sit down with a pen and paper, and try to remember a series of punches for each letter. Just go out there and use the letters as a general guidance. Suppose my trainer yells A-B-C! A-B-C! That means he wants me to attack to the head (raising my opponent’s guard), then go down to the body (forcing my opponent to anchor down and protect his body), then cut around my opponent to his blind side, and REPEAT! There it is…the ABC all day everyday. Now you know your A-B-C’s! To practice your ABC combos, have a trainer yell out a pattern as you hit the heavy bag. If he yells A-B-E, you throw a head combo (1-1-2), slip to the side, throw a body combo (3-2-3), pivot out and throw an escape combo (2-3-2-1-1-pivot). This is JUST AN EXAMPLE. Please do not write down the combos I used. Have fighters paired up on the heavy bags. The moment the trainer yells out a letter, every fighter has to immediately respond with the right combo. If the trainer yells out several letters, every fighter has to immediately respond with several combos in order of the letters. The trick is to respond and punch as fast as possible. Make sure the fighters are being creative; don’t let them reuse the same combos over and over. Try using the letters in real combat. No more yelling numbers. Give fighters some letters and let them deal with it. If you want the fighter to use a specific punch, let them know which one to mix in a bit more. Eventually the fighters will learn the ABC system just as well as they know the numbered punches. They will learn how to respond automatically with entire combinations and put purpose into every combination. The important of this system is not about learning a new way of expressing combinations but a new way approaching combination punching. Like everything else, after a while, you don’t need to know this system anymore because it becomes automatic. Notice how the taller or longer armed fighters use a lot of D combos. Shorter guys use more C combos. All the pure boxers and runners use E combos. 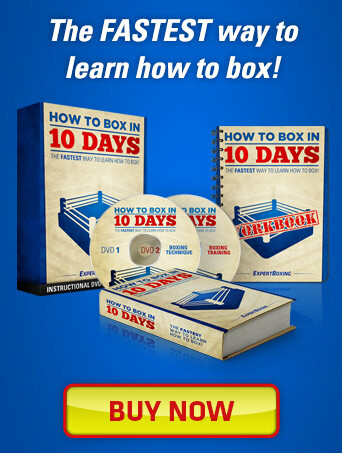 is the first step to becoming a true combination puncher. Make up your own combos to fit your style. Adjust it for different situations and different opponents. If a guy guards his head too much, mix in more hooks to the body. If the guy leans in a lot, put in more uppercuts. The point is to attack him with combinations, not single punches. Keep switching combinations and keep him guessing! The beauty of the ABC system is that you don’t have to remember dozens of specific punches. Your trainer doesn’t have to yell “GO TO THE BODY” during fights where your opponent can hear. Now he can just say “B-A” and you’ll know he wants you to go to the body and then the head. So there you go, call out letters for combinations just like you use numbers for punches. The combinations don’t have to use specific punches; the combinations just have to fit the purpose. You can also use the letters to represent another purpose, combo or target area of your choice. Maybe A/B/C could mean jabs/crosses/hooks. Or A/B/C could mean straights, hooks, uppercuts. Or A/B/C could mean far/near/inside. as long as they’re being thrown with a purpose. Add Western Boxing To Muay Thai Boxing? But you forget the fact that a real coach dont need to yell certain combinations when you’re fighting, unless you’re a beginner. He should give you simple advices that should help you with the entire fight. An example is if you’re fighting a smaller opponent who goes low, then he can yell “aim lower!”. From there on you do that, but you keep boxing like normal. 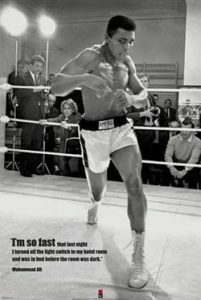 The coach cannot control you like a joystick, because the boxer will never be succesful then..
You’re 100% right, Adam. The coach isn’t supposed to be telling you what to throw. He’s just telling you what to go for…and to give you multiple targets to go for. The ABC system allows him to give you a good pattern for breaking down your opponent by targeting him in an order where he appears to be most vulnerable. Sometimes he wants you to go head-body-head, which can expressed by ABA. Other times he wants you to go body, head, and get out, which can be expressed with BAE. The punches and angles used is completely up to the boxer. The letters are just to tell him where the openings are and to help him use combinations that expose his opponent. amazing! didn’t even know about this kind of method. I’ll certainly try it. This is create stuff, you have to become a boxing trainer. Even if your coach doesn’t agree to use this method. You can use it yourself by taking the type of combinations your favorite boxer or boxers similar to your style use. Would examples of some C-D-E combos be coming out in the future? Hmmm…. CDE. Try C (pivot-2-3-2), D (1-2-1) as you step out, E (just back out of range). As most of you are aware, the strategy yelled at you by your trainer; outside the ring or during breaks, is a suggestion based on observation. It also comes down to the boxer, at higher levels; to understand the opponent during fight. For example, If your opponent is taller than you, you might naturally be trying to beat him inside (A / B) with constant movement (in and out) and angles C. If he is shorter, you can use your massive advantage on the distance D punches and E combos alongside it. The best trainers usually suggest the “mode of attack” like “retreating defensively to set up combos / volume punching to open a defensive fighter”. Good article on suggesting the various avenues of attack, but use them in fight by practicing them while sparring at training. This is a so great a method to master. Excellent insights and instruction – Thanks!!! Just wondering how you would rate Joe Calzaghe and Marvin Hagler as combination punchers? @Khalaf – I’m gonna have to get back to you on that. That’s a lot of footage to watch, haha. @Robert Wright – both Calzaghe and Hagler are awesome punchers. In my opinion, Calzaghe is more of a true combination puncher whereas Hagler is a bit like a potshotter and uses steady punching and awkwardness. Hagler loves to throw 2-punch combos instead of chaining entire combinations together. I like your site a lot. Thanks for your hard work and dedication to continually improve it. If possible, could you supply some video examples or just verbally break down C combos. To execute them better, I feel I really need to fully understand the footwork of how to cut around a fighter while remaining in range and having the proper balance to still get effective punches off. Any advice will be much appreciated, thanks. I’m in the works of putting up some videos so feel free to remind me later and I’ll show you some. A “C” combo is basically just you moving around an opponent as you throw some punches. Suppose you throw a 2-3, and pivot with the left hook, and then throw a 2 after you finish pivoting. Or maybe you throw a 1-2, step to your right, and then 2-3-2. You’re basically using footwork in your combo but using the footwork to get around your opponent instead of running away. What is cutting around an opponent as you punch? 8) why dont you write a list of all of the combinations and write down the strengths of the combinations which could be used for attack in one collum and then outline the weaknesses in each combo and then put that in the defence collum. @S – cutting around an opponent means to pivot around him during your combo. You can pivot during a punch or right before or right after a punch. @curtis carpenter – I wouldn’t list the combos because I want you guys to make up your own and make a new one each time. What you throw isn’t important, it’s how you’re using the punches. Hey Johnny, I am 47 years old, my father was a skilled boxer in Mexico and like so many he hung up the gloves when he realized that boxing would only be something he loved and not a career. He trained my brother and I with the basics but never pushed us to become boxers. My father believed that a boxer is born through a special calling, and if one of his sons was born to be one all he had to do is introduce us to the art. Well neither one of us is a boxer but the training came in handy growing up in our rough hood. A couple days ago I learned that my teenage nephew is going through hard times, issues in school, his father is too busy to spend time with him and the lack of self esteem challenge. I decided to take on the role of his mentor… talking to him briefly I learned that he really wants to box but knows close to nothing about the skill and technique. I follow boxing and I understand it well enough to appreciate it but I am no expert. This is where you come Johnny, as I browsed the web looking for boxing and training sites you were the second one I clicked on to… I want you to know that I haven’t looked anywhere else, the knowledge and valuable information you share through your website is excellent. My father passed away this last November, he took with him great boxing knowledge that I could use today to apply to my mentoring plans with my nephew. 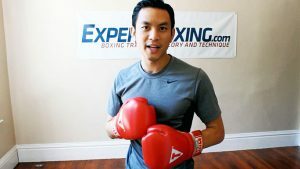 Well thanks to you and the articulte way that you share your knowledge of this art, I am going to do just fine with my nephew and getting him started with boxing with such excellent fundamental tips you provide in your site. Thank you…. @Cesar – THANK YOU. It really means a lot to hear people have so much trust in me. I hope that you find anything you need here and please write when you have questions. I wish you and your nephew the best. Pernell Whitakers system is easy. eeeeeeeeeeeeeeeeeedddeeeeeee. lol. Do you think you could use this system to beat combination in my head while i shadowbox? I’m sorry, what do you mean using the system to “beat combination” in your head? I don’t get it. But yes, you can use it to shadowbox an imaginary opponent. Can you give examples for effective escape combos? Are they like bs-2, bs-2-3-2 or all of backstepping combinations? Thank you for article and your all work on this site. It helps alot. Check out my punching combinations article.